Why pick South Africa as a travel destination? 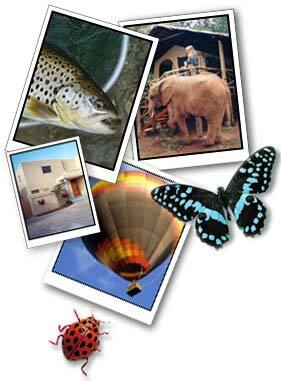 Simple, South Africa offers the traveller or explorer a multitude of exciting things to do. From majestic mountains to long sandy beaches, you will be spoilt for choice when visiting South Africa. Thrill-seekers step forward for some shark cage diving in Gansbaai or bungee jumping off the Bloukrans Bridge near Plettenberg Bay. Wildlife lovers will be spoilt for choice when it comes to game and nature reserves - from the world-famous Kruger National Park in the north east of the country to the the Addo Elephant Park in the Eastern Cape, just a few of South Africa's national treasures. South Africa is also the gateway to other exciting tourism opportunities, hop over to the Okavango Delta in Botswana, the Victoria Falls on the border between Zambia and Zimbabwe or the Etosha National Park in Namibia. The Drakensberg mountains have some of the finest hiking trails on offer and if the mountains aren't your cup of tea then the coastal regions have some challenging hikes to satisfy the outdoor enthusiast. The Otter Trail takes you 42 odd kilometres along the Eastern Cape coastline and features river crossings, waterfalls and caves. If fishing is your thing, try some magic flyfishing in the gin clear streams of the Western Cape where wild brown trout really put your skills to the test. Or head over to Jozini dam of KwaZulu Natal and test your wits against the Tigerfish. The South African coastline offers surf anglers a variety of species to target or head out to sea for some deep sea action with sailfish, dorado or tuna.